Marjorie L. Roeth, age 95, of Troy, OH passed away on Sunday, January 20, 2019 at her residence. She was born on January 16, 1924 in Conover, OH to the late Joseph H. and Estella (Neese) Frantz. Marjorie is survived by her sons and daughters-in-law: Craig and Gina Long of Hendersonville, NC and Brian and Angela Roeth of Piqua, OH; five grandchildren: Chelsea (Chris) Lambert, Brittany (Eric) LaBore, Courtney Long, Matthew Roeth and Megan (Kyle) Stumpff and four great grandchildren: Enslee, Colter, Levi and Camdyn. In addition to her parents, she was preceded in death by her husband: L. Harold Roeth on May 10, 2005 and two brothers: Harold E. Frantz and William B. Frantz. Marjorie was a member of St. John’s United Church of Christ, Troy. 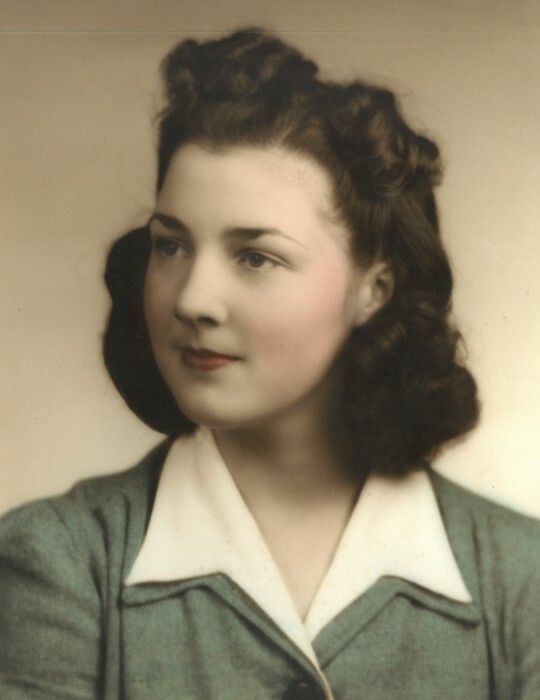 After graduation, Marjorie was employed by the Springfield News and Sun, Electric Auto-Lite Company and the Ohio State Employment Office. She worked at Fort Benning, GA, and then in 1954 returned to Federal Service at Wright Patterson Air Force Base, OH. This was the most interesting position she held until retirement in 1974. The family wishes to express appreciation to Marjorie’s dedicated caregivers for their loving care over the past several years. Services will be held at 1:00PM on Thursday, January 24, 2019 at Baird Funeral Home, Troy, OH with interment to follow in Riverside Cemetery, Troy, OH. The family will receive friends from 11:00AM – 1:00PM on Thursday at the funeral home. In lieu of flowers, memorial contributions may be made to Hospice of Miami County, P. O. Box 502, Troy, OH 45373. Condolences may be expressed to the family through www.bairdfuneralhome.com.